Obituary for Mabel Elizabeth (Davis) Holmes | Mack Eppinger & Sons Funeral Service, Inc.
Mack Eppinger & Sons Funeral Service, Inc.
Mrs. Mabel Elizabeth Holmes, 92, of Cartersville, Georgia passed away on Tuesday, February 12, 2019 surrounded by her loving family. Funeral service will be held on Saturday, February 16, 2019 at 11:00am at Mt. Zion Missionary Baptist Church, 147 Jones Street, Cartersville, GA. The body will lie in state in the church from 10:00am until the hour of service. Interment will follow in Pleasant Grove Baptist Church Cemetery, 668 Burnt Hickory Road, Cartersville, Ga. 30120. Mabel was born on November 26, 1927 in Cartersville, Georgia to the late John Willie Davis and Edna Jackson Davis. She attended public school and subsequently graduated from Summer Hill High School, Cartersville, Georgia. She met and married Henry Holmes, whom she loved dearly. Mabel lived life to the fullest, appreciating and enjoying the simple things in life; a good book , good food, and most of all, she enjoyed chatting and chewing the fat with family and friends. Mabel was a pillar on which the Davis family legacy stood. She was preceded in death by her son, Ronald Lee Green; brothers, John Willie Davis,Jr. and Charles Sidney Davis; sisters, Mahalia Johnson and Nelle Elaine Henderson; several nieces, nephews, and cousins. 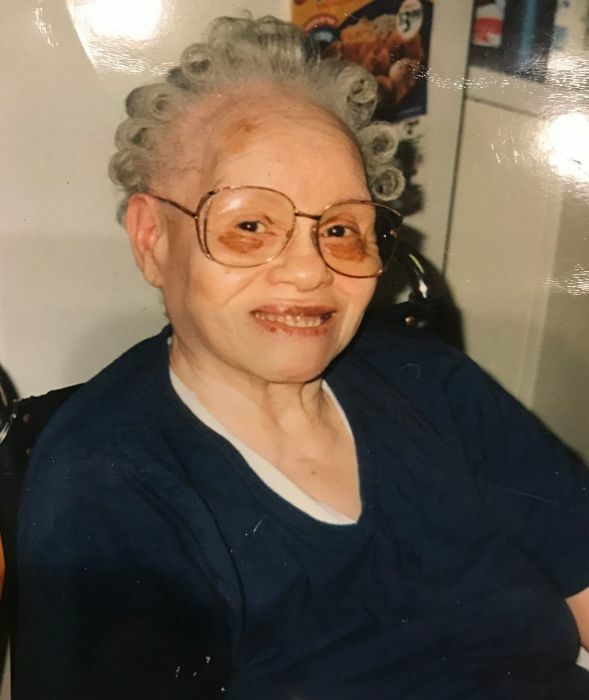 Left to cherish her memory, her loving sisters, Marion Davis-Woodard, Jean Davis and Jewell Davis-Hill; and a host of nieces, nephews, other relatives and friends. Mack Eppinger and Sons Funeral Service, Inc. are in charge of the arrangements.